Pleasant tasting natural sweetener, great for reduced calorie and sugar free recipes, zero calories, low glycemic impact, naturally sweet. 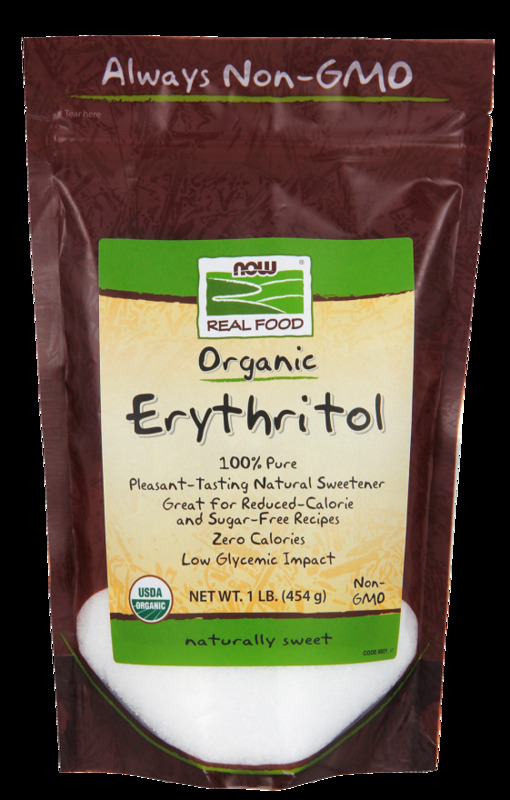 Erythritol is a wonderfully sweet way to avoid sugar and all of its unwanted calories. Now Foods organic erythritol is a naturally occurring sugar alcohol derived from non-GMO corn and is about 70% as sweet as sugar without any calories. When you substitute erythritol for sugar, you get a refreshing natural sweetener with a low glycemic impact that won't contribute to tooth decay.